Grass Mats maintenance. Looking after play surfaces. 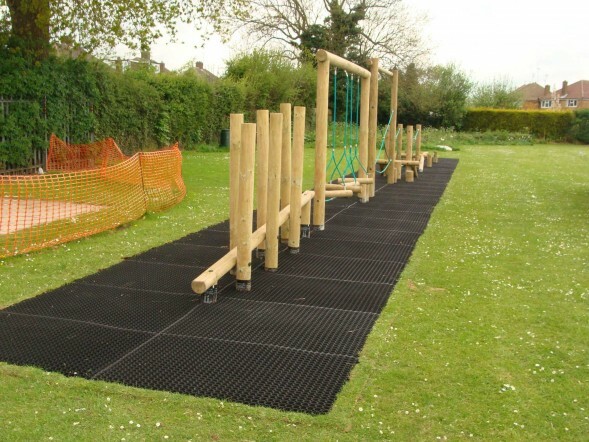 Installing safety surfacing (like grass mats or rubber mulch) on your property or playground is a great way to protect against slips, trips and falls. But like any quality product, it’s important to take good care of your surface. Not only does this increase its longevity, but it also maximises your initial investment. What should you consider when looking at mulch and grass mats maintenance? Grass Mats are a very low maintenance product, but it’s still important to look after the grass growing through them! Make sure that when trimming turf coming through, be careful not set the blade too low, as it can tear the matting. Be sure to keep the area free of debris and blow away any build-up of leaves. Check that all the original fixings are still in place and that there is no erosion of the recesses. Lift the mats periodically to shake loose any soil and seed. 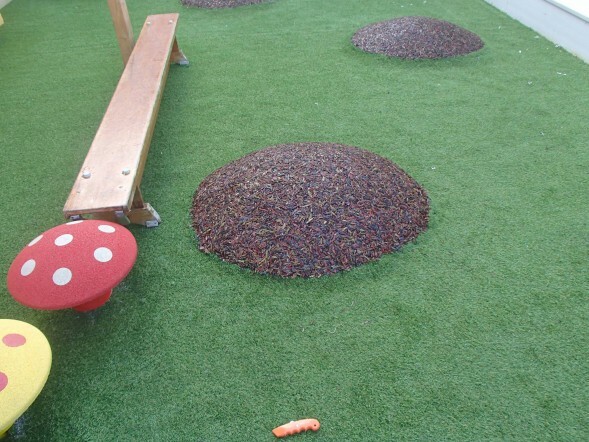 It’s important to remember that rubber mulch surfaces (like PlaySmart’s JungleMulch) are porous; therefore weed and grass growth from natural migration can occur. Any such growth should simply be pulled out, and if required, a 15-minute weed treatment can be used. To keep the surface clean and safe, wash it down periodically with low-pressure hot water, followed by medium pressure cold water. Maintenance of your surfacing solution is essential for retaining its safety qualities. Carrying out minor repairs to any cracks in wet pour or tears in matting, eliminates trip hazards that these minor signs of wear can present. Which in turn, helps you get the maximum value and lifespan out of your product. If you’re considering installing safety surfacing on your site this year, or have any questions about maintenance, you can get in touch with our experienced team on: 01564 742 811.